Time To Shine Cleaning Services provides professional window cleaning services to businesses, buildings, and properties throughout the Calgary area. From high rise office towers, commercial buildings, condominium associations, to restaurants, automotive dealerships, and retail stores, we provide reliable window cleaning for your shiny view! 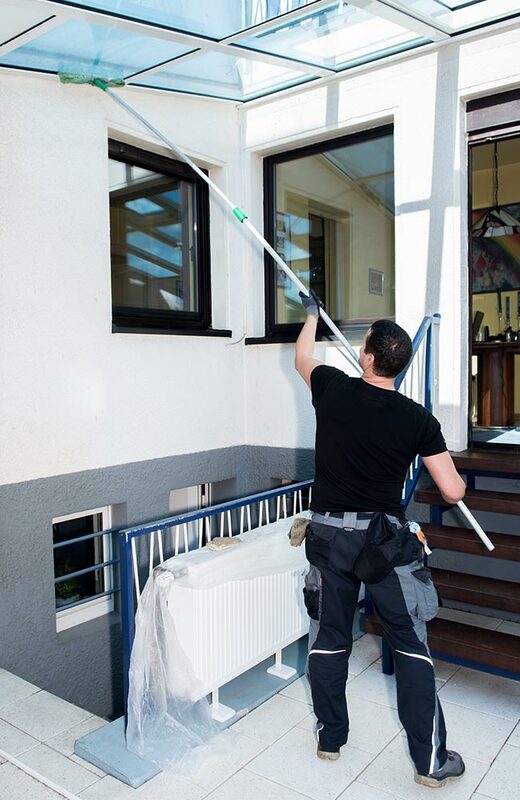 Our window cleaning services are available to clients as a one-time service, or based on an ongoing schedule. Keeping your windows clean and looking their best is paramount to a professional business appeal and image. We are here to maintain that image. From skyscrapers to small retail stores, and everything in between, our cleaning company is here to make your business shine! Professionally wash and buff dry windows and glass surfaces. Specializing in windows, buildings, and properties of all sizes, including high-rise office/commercial towers, condominiums, and retail venues. Our window cleaning services are also available as part of cleaning services for office or commercial properties, or part of a janitorial solution for office, commercial, or condo buildings. Time To Shine Cleaning Services is bonded, licensed, and fully insured to provide our clients with professional window cleaning services throughout Calgary. Our mission and focus is to provide superior customer satisfaction to all the businesses we work with. We take pride in our work and strive to deliver excellence in all that we do. In addition to providing professional janitorial services, our company deeply cares about sustainable, healthy living and we do our best to make that a key characteristic of our business. Time To Shine uses 100% biodegradable cleaning formulas for our window cleaning services, which also keep your windows cleaner for longer.